Stopped in today for a press and curl. Was not expecting much as I am natural and have super thick hair. However, Sherika did a great job I love my hair. Far exceeded my expectations!!! My journey at DBA had a lot of twist and turns. I stopped and was encouraged to start again 3 times! If it was not for the support of the staff and Mr Lankford on me daily I would of gave up. I'm so glad I didn't take the easy road out and gave up! I'm so glad everytime Mr. Lankford fussed at me about attendance I strived to be better. I'm so glad Mrs Evans saw something in me and push my inner Diva to surface. I'm so grateful for Mrs. Pruitt Prayers and inspiration and Ms Miller for setting me free with a pair of razors!!! I made it because of the grace of God and the staff at DBA. When the beautiful red headed teacher(Mrs. Lankford) gave me my papers and said I was finished well My Journey just begun!!!! I am truly amazed at the service I received. Kate did an awesome job on my highlights and cut. I absolutely love the way it turned out. Definitely recommend Delmarva beauty academy to everyone. "I went to Delmarva Beauty Academy on a recommendation from a friend whose mom works there. And I have to say, that I am not disappointed! I just went in for a simple trim, and to get my bangs cut (they were getting way too long), but my experience was fantastic! They made my bangs look better than they have in a long time, and they took such good care of me. The teachers are very helpful with the students, and trust them enough to not hover over them. Which helps me trust them in turn. Melanie Candel was the student who cut my hair, and she did a great job! Ms Mitchell and Kaitlyn Moon supervised, and they were awesome, too! I'm going back in a week for a complimentary scalp treatment, and I can't wait! It'll be my first time getting one! Had a wonderful experience at Delmarva Beauty Academy!! Huge shout out to Holly - she did an amazing job on my color I absolutely love it, and by far the best shampoo experience I have ever had! Also want to say a big thank you to Ms. Miller for a great haircut and style. I will definitely be back! Thanks again Holly and Ms. Miller and I'll see ya soon!! They did a great job with my 3 daughters and myself! I am convinced that I would have not achieved the level of success I have today, without God or Del- Mar-Va Beauty Academy. I graduated Del-Mar-Va Beauty Academy in 2003 as a Cosmetologist. I went to state boards in Baltimore and pasted both theory and practical the first time. As soon as I got my license in the mail I was hired at Regis corporation. I worked in the Salisbury mall at Regis for a year or so and later transferred to Smart Style in Walmart. In which I worked for 7 years and was the manager for 3. In 2011 I opened my own salon... V.I.P. ( Visual Images Perfected). Which is still in operation. I have been blessed to work in almost every area in the beauty industry. I am a educator, I have a product line, salon owner, salon manager, stylist, platform stylist and Barber. I currently hold a MD Senior Cosmetology license, a VA Instructor and Cosmetology license and a Associate Degree in Small Business. But I must say I can take no credit for such an achievements. Everything I was taught I grabbed hold of and ran with it. Thanks be to God and Del-Mar-Va Beauty Academy! Just started, the staff is amazing .....and fellow students so talented, great school. I cannot say enough about how the school, administrators and staff helped me along this wonderful journey I have begun as a Stylist. Providing quality education in basic and advanced Cosmetology and Nail Technology skills since 1976. I am grateful to Mrs. Lankford for allowing me the oppurtunity to gain the education I need to move forward into my future. I would like to thank everyone from Delmarva Beauty Academy for helping my daughter choose a career that has helped her grow both financially and as an adult. During my time at Delmarva Beauty Academy I developed a professional work ethic and skills that enabled me to become a successful professional stylist. Very nice school, I would recommend it to anyone who is seeking a Maryland cosmetology license. 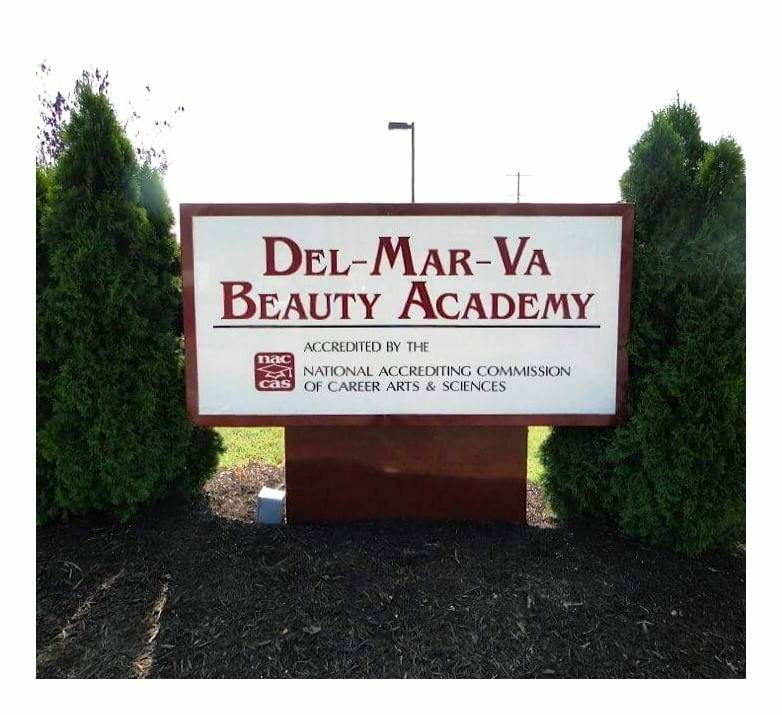 I attended Del-Mar-Va Beauty Academy after leaving college, to pursue a career in cosmetology. The training that I received was incredible, and the support I received was unsurpassed. This Academy truly helps you follow your dreams, and pushes you to be even better than you thought you could be. Since graduating, I have owned and sold a very successful salon, moved to Los Angeles, CA, and am now living my dream. I travel the country with a very reputable company, inspiring and educating new and experienced hairdressers, in classroom settings, and from stage. My audience is anywhere from 20 to 2000 cosmetologists looking for inspiration and new cutting edge techniques. Without the support of Del-Mar-VA Beauty Academy, I never would have realized my dream, and been able to accomplish it. Every day we grow in our professional and personal lives. DBA pushes us to make sure that growth is in the right direction.